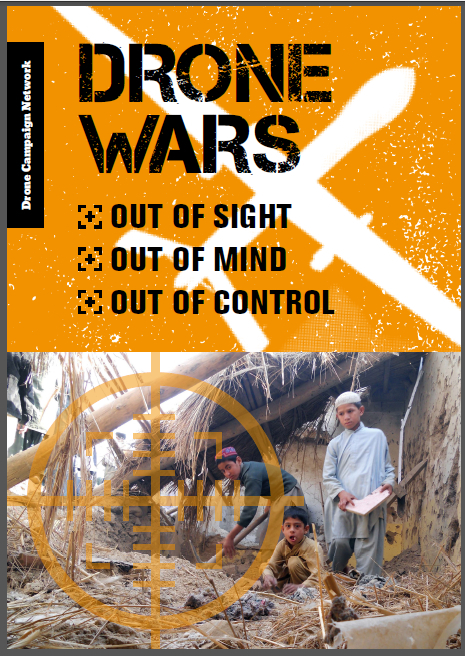 In a response to our FoI request the MoD has released new figures detailing the number and type of weapons launched by British Reaper drones in Afghanistan each month since May 2008. While the MoD have previously given annual totals, this is the first time that figures have been broken down for each month. The figures come in response to our Freedom of Information request that also reveals the number of strikes in Afghanistan undertaken by British RAF pilots using borrowed USAF Reaper drones (see our story here). Please note on 13 February 2014, the MoD issued a correction to the figures given to us on 4 February 2014, reducing the number of weapons released by British Reapers in November 2009 by 2. This post has now been updated to reflect those changes. 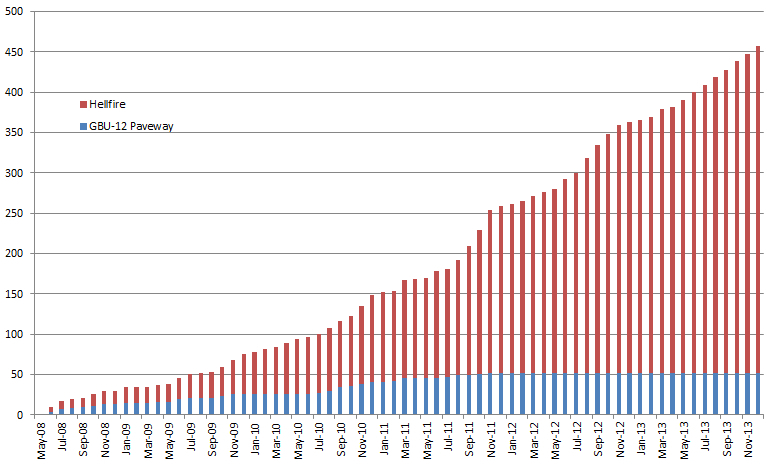 The monthly figures cover May 2008 to April 2013. A separate FoI response has given the total number of weapons released in 2013 as 94. 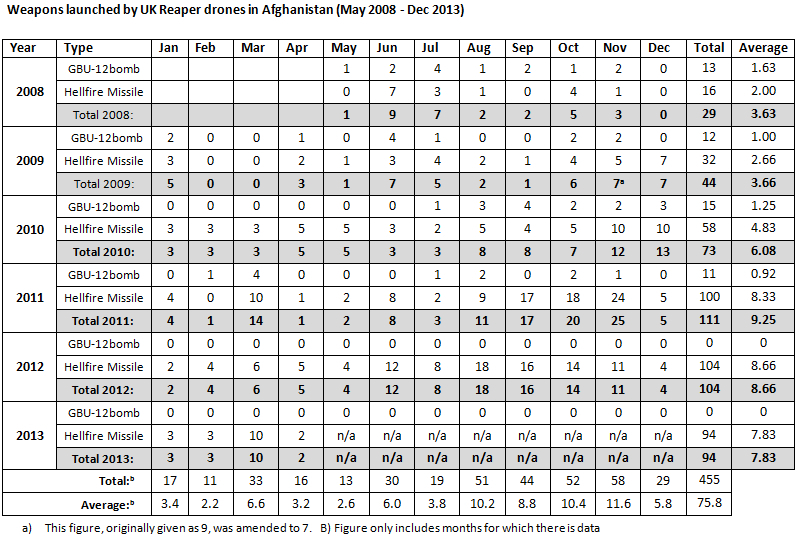 This therefore give a total number of 455 weapons released by British Reaper drones in Afghanistan at 31 December 2013. As can be seen from the table, and the graphs below, the majority of weapons that have been used have been the 100lb Hellfire missile. 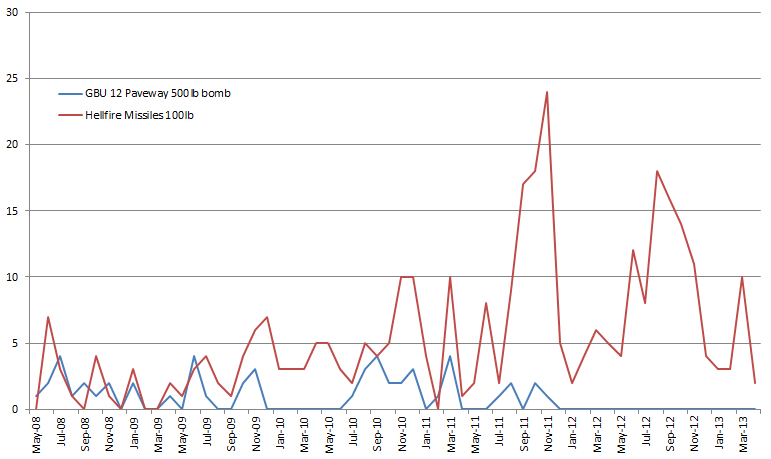 In fact none of the larger 500lb GBU-12’s have been dropped by British drones since November 2011. 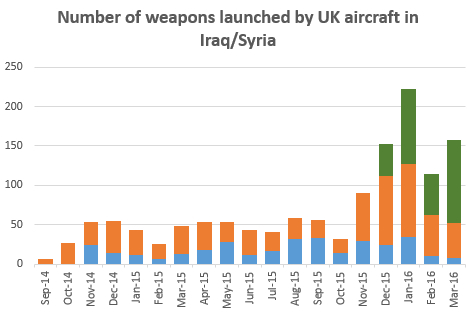 The figures for 2013 show a slight decline in weapon launches, dropping from a peak of 111 in 2011, to 104 in 2012 to 94 in 2013. On average eight weapons per month were launched from British Reapers during 2013. 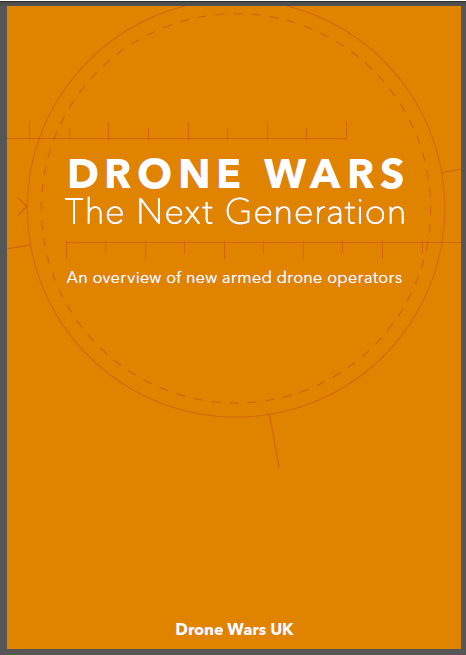 The figures also reveal peaks and troughs in British Reaper drones armed activity. The months between August and November often see large numbers of weapons used before the onset of bad weather in Afghanistan which makes it difficult for Reaper drones to operate. For example in 2011, in the four months between August and November, British Reapers launch 73 weapons – the same number as launched during the whole of the previous year. The MoD insist that only a handful of Afghan civilians have been killed in British drone strikes in Afghanistan since 2008. In March 2011 four civilians were killed and two others injured when British Reaper launched a strike on two vehicles in Helmand province. The new figures show that 10 Hellfire missiles and 4 GBU-12’s were launched in March 2011, an unusually high figure for that time of the year. While it is not publicly known if Hellfire missiles or GBU-12 bombs were used in the attack, the use of GBU-12 declined rapidly and stopped altogether in the months following.